The ever-increasing importance of value-based healthcare is causing seismic shifts in the way medical providers offer care to patients. Measuring quality of service and patient satisfaction is central to providing excellent, value-based care, and one way of understanding quality is through the Hospital Consumer Assessment of Healthcare Providers and Systems (HCAHPS) score. A good HCAHPS score is critical to Medicare’s value-based purchasing program, which prioritizes quality of care and patient outcomes over quantity of care and medical provider business outcomes. 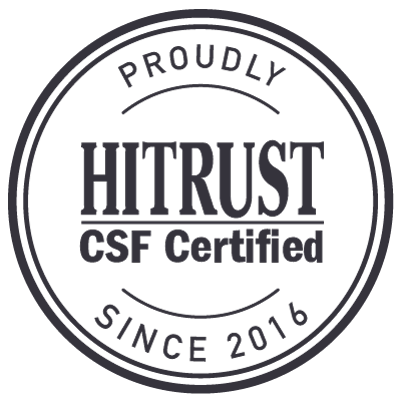 HCAHPS mainly focuses on patient satisfaction, and high scores correlate with several vital areas — lower mortality, reduced discharge times, less healthcare utilization, better healthcare provision, and putting the patient first. Patient satisfaction and outcomes as listed above. A healthcare provider’s business outcomes, as HCAHPS scores directly impact value-based Medicare reimbursement. Your nurses are the unsung heroes of high-quality healthcare provision. Their everyday interactions, communications, health provision, and clinical workflows have an enormous impact on patient perceptions and outcomes. If you want to improve HCAHPS scores, working with your nurses is a great starting point. HCAHPS scores medical providers on many areas, but the ones most relevant to nurses are staff responsiveness, team communications, communications with the patient, and handover / discharge / care information. 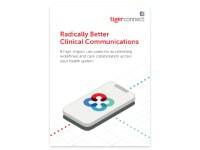 Your scores can be significantly improved through using a dedicated, secure Clinical Communication and Collaboration (CC&C) system, like TigerConnect. 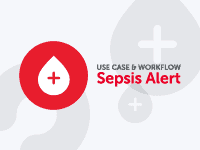 These systems revolutionize healthcare communications, drive up efficiencies, and help your team deliver more effective diagnosis and treatment. 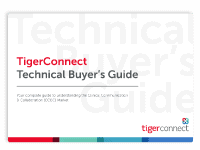 Here’s how TigerConnect works in practice. Automating and receiving reminders on routine tasks frees up a nurse’s time, attention, and clinical workflow to focus on giving direct care. Streamlined communications with colleagues means less time double-checking, fewer mistakes, and a stronger focus on good patient outcomes. Access to an integrated, centralized EHR system means all team members have a complete, up-to-date understanding of a patient’s medical records and healthcare needs, right now. This makes communication much easier — whether a nurse is discussing medications, ongoing care, discharge, patient concerns, or treatment plans, patients will reflect their positive experiences in their HCAHPS scores. Communication and collaboration across the team is central to providing exceptional care. Secure, timely, accurate information sharing means easier triage, faster diagnosis, better treatments, reduced discharge times, and improved patient outcomes. Shift changes and patient transfers rely on up-to-date, accurate communications and information. A detailed, historic record of healthcare needs and communications means everyone can get up to speed quickly. Immediate access to lab results and other diagnostics makes it easier to coordinate care. Integrating medical results systems with your EHR and CC&C platform reduces toil for nurses and physicians and makes their lives easier. Allow for more time with the patient by giving nurses access to the latest patient and EHR data through a centralized, easy-to-use, integrated system so they can share high-quality information. Ensure your technology and integrated systems support a nurse’s clinical workflow so they can have the right conversations with the right patient at the right time. Make clinical data actionable for nurses by providing context and supporting information from team members and other experts. When you’re ready to significantly improve your HCAHPS scores, our clinical communication and collaboration solutions will help you get the job done. We’re changing healthcare communications, and that’s good for everyone.